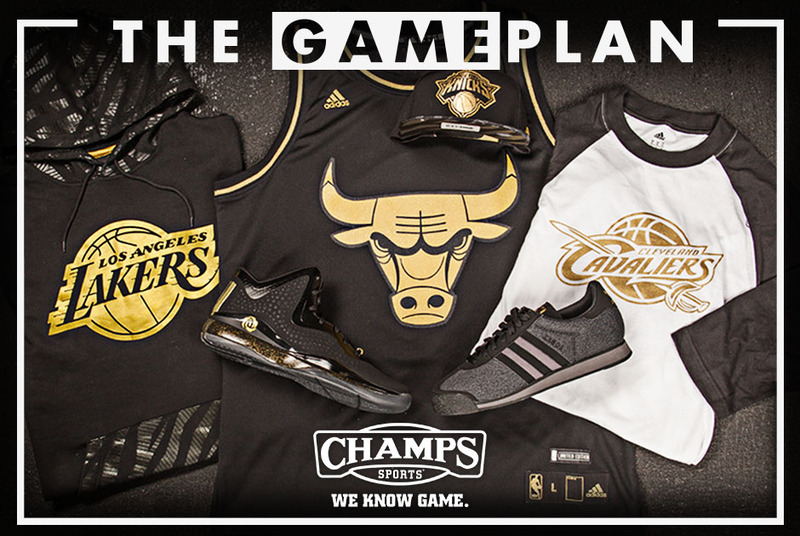 Get the scoop on adidas' precious metals collection, available at Champs. The 2014 NBA regular season may not have officially tipped off just yet, but it’s never early to start talking about the Larry O’Brien trophy and which team will be lucky enough to hoist it this year. With so much realignment having gone down in the league during the course of the offseason, it’s a bit premature to be making assumptions as to which team will earn the coveted piece of gold hardware at season’s end. In the East, Cleveland, who added superstars LeBron James and Kevin Love to an already young and talented roster, looks to be the early favorite to make the NBA Finals. Though, a rejuvenated Derrick Rose and the Chicago Bulls, who brought in their own star via a trade in Pau Gasol, might have something to say about that. In the West, as is the case seemingly every year, the heavily stacked conference is up for grabs, with teams like Oklahoma City, San Antonio, and Houston (among others) looking to get to the promise land. Well, unfortunately, we’ll have to wait to see how the season plays out before a champion can be crowned, but that doesn’t mean you have to wait until next spring to get your hands on a slice of gold. 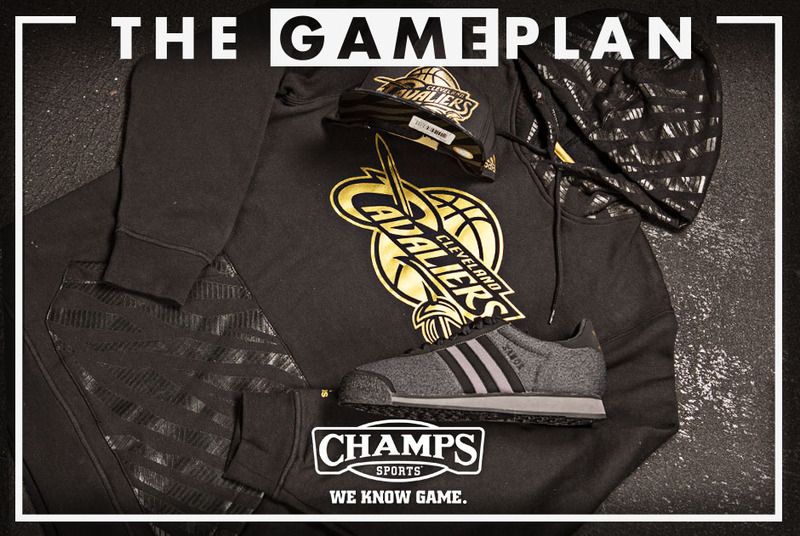 In honor of the start of the new season, and the high aspirations that it brings along with it, Champs Sports has hooked up with adidas and the association to bring you the NBA Precious Metals Collection as part of The Game Plan. 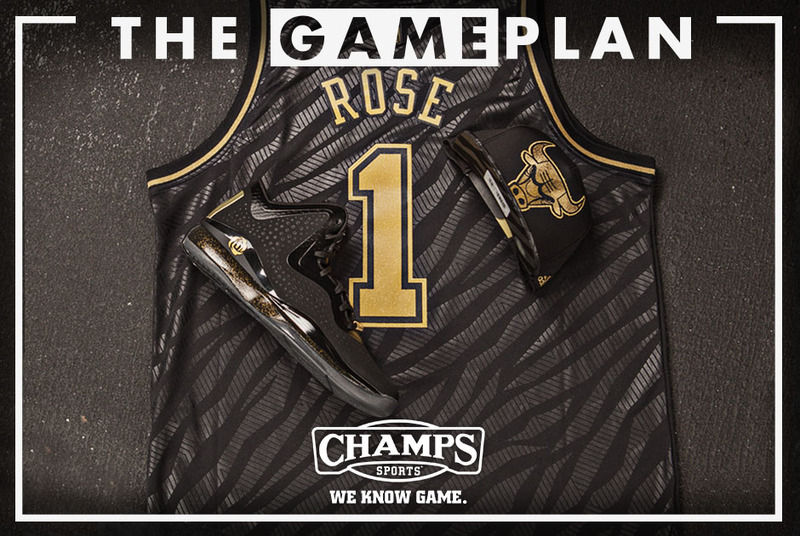 It features an eclectic mix of gear—from jerseys, player and team tees, hoodies, and sneakers—that replace traditional team colors in lieu of a blacked out color scheme with gold branding and accents. This has the potential of being the dopest fan gear that you’ll have the chance of getting your hands on this season. So don’t sleep on it! We’re not saying that this will permanently replace any of those sick retro jerseys you’ve got on display in your closet, but it will be a nice addition to the collection. Next time you go to a game or watch it at the house with the crew, the black and gold jersey will help you stand out in the best way possible. Just be ready to answer questions like: “Where’d you cop that son?” and “Can I hold that for the next game?” Pair it up with the adidas Samoa and you’ve got yourself a clutch game day ‘fit. Listen, real ballers don’t stop balling just because it’s cold outside. So be the real deal and throw on this hoody, get out there, and show them that you’ve got mad game. You’ll need some shoes, too. We recommend the Rose 773. They’ll hold you down whether you’re hooping in the gym or in the driveway. 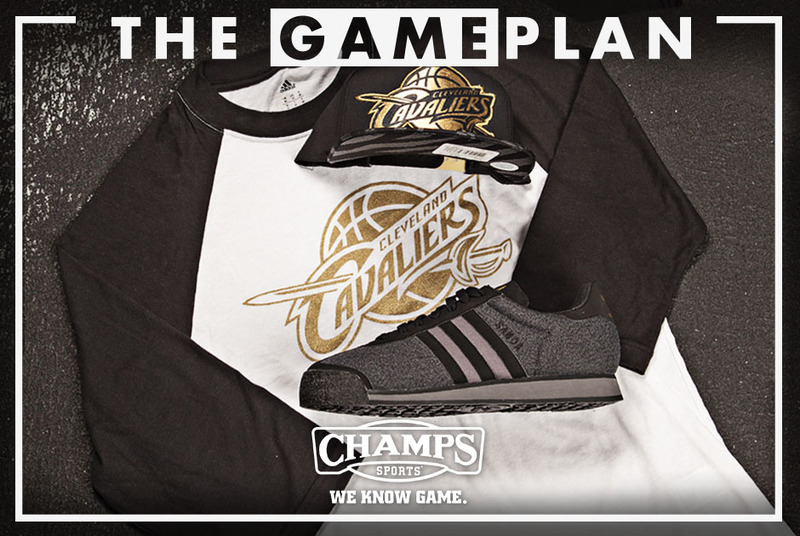 When you’re done breaking ankles, head home, turn on the game, and rep your squad with a blinged-out team tee.